The captain’s voice comes on the intercom. He is slurring his words. His words make no sense! Is he drunk or sick? Mentally ill? Is this really the captain or has someone else entered the cabin? The airplane begins to sway from side to side, to shake and jump…. Other passengers begin to scream. How do you feel? Many Americans are feeling a deepening alarm as our head of state Donald Trump leads us through confusion and controversy into destructive policies. In international travel and in airports everywhere Muslims begin to feel additional levels of anxiety, regardless of country of origin or particular legal status. Those who come from the seven designated countries named in his executive order now find themselves stereotyped as a threat, separated from their families and jobs, suspended in the awful feeling of free fall. During his first week in office Mr. Trump began to sign a series of dramatic executive orders, moving political theater further into the realm of farce and tragedy. The sudden implementation of a “Muslim Ban” led many colleagues to protest at airports around the nation, lawyers to offer free services, and a public swell of support for coexistence and respect among many urban Americans. It was heartwarming to see so many Americans carry signs expressing solidarity with Muslims and immigrants and even declaring themselves Muslims. Muslim Americans should deepen their own solidarity with other diverse Americans in response. Despite ACLU lawyers obtaining a partial legal stay from several federal judges, including one ruling applicable nation-wide, some travelers continued to be detained and even deported through the weekend. Why this defiance of the courts? The White House chief of staff did announce that green card holders would be taken off the executive order. This was after the White House made sure they were added in the first place, without legal review and with very limited consultation. Why this secretive and hurried decree? Who is in charge? Mr. Steve Bannon. With his history of support for extremist views at Breitbart News, Mr. Bannon has no government experience to prepare him for the complexities of his new role of President Trumps’ chief advisor. Instead of being replaced or even just reprimanded for the disruption in airports nationwide, he is being rewarded. Even as confusion reigned, Mr. Trump added Mr. Bannon to the National Security Council, and reduced the role of the Chairman of the Joint Chiefs of Staff and the Director of National Intelligence in this important Council. This is highly irregular. Americans should be urgently asking each other who is driving us as a nation and where we are going. The new Administration (and its Republican enablers) will try to brush aside what has happened as merely a public relations problem. Asserting support for his executive order, Mr. Trump has falsely tweeted that only 109 people were affected, ignoring the tens of thousands whose lives are impacted by these bans. Refugees from Syria who have waited two or three years for the vetting process to be completed now are told on the eve of their departure that the US will no longer take Syrians. Yemenis, who have endured US-funded Saudi bombs falling on their heads for several years now are being told they must wait four more months to even be considered for refugee status. What was already a very tough and lengthy vetting process for all refugees has now become capricious and unfair, of course in the name of national security. And national security has become a cover for Islamophobia. How else could those policing our borders convince themselves that it is acceptable to detain elderly people in wheelchairs at Dulles Airport, even withholding their medications for many, many hours? Moreover, in defiance of international norms and laws protecting refugees, and in contrast to moral and religious teachings, President Trump proclaims a preference for Christian refugees over Muslims. Of course, some Christian minorities have been displaced and deserve a safe haven. But in Syria, Christians make just over 5% of the population and already comprise almost half of all Syrian refugees the US has accepted. But now the new, explicitly anti-Muslim policy will be rationalized on security grounds, and this may confuse some Americans as we move forward. The Trump administration will seek to portray the Sharia as a threat to our democracy rather than a body of traditions and practices that can be fully in agreement with the US constitution. US Muslim leaders have been arguing this point for years, but it has fallen on deaf ears. ISIS and other extremist movements have also been very effective in helping to drive Americans into the arms of Trump. Extremists feed off each other, and everyone in the middle suffers. More executive orders will follow, most likely enlarging the attack in American Muslims. Little noticed in the current Executive Order on Refugees already in effect is a clause that refers to ideology and belief and suggests a return to an ideological litmus test. We will again be asked about our faith at airports, no doubt. This “security theater” will “create jobs” while alienating Muslims and even seem to prove ISIS is correct that the US is at war with Islam. Equally troubling, there are signs of renewed surveillance, with airport officials already searching Muslim travelers’ Facebook accounts and copying hard drives. The Trump Administration has also informed the European Union that it will no longer abide by the international Privacy Shield Agreement negotiated with such effort. The global Islamophobic movement will have new tools to enforce harsh and distorted views on the rest of us. Resistance to the emerging police state will require steady commitment. Muslims especially must avoid the “Good Muslim/Bad Muslim” approach, as the Administration tries to divide the community on the basis of ethnicity, privilege and perceived loyalty. The instinct for self-preservation can be manipulated as easily as fear. Muslim American organizations should choose their allies from among those who adhere to moral teachings and who prioritize service and social justice. We can embrace the diversity of humanity with respect; value the heritage of pluralism; and know how to explain our own values in that context. The current situation is not only bumpy but dangerous. Our flight path is unknown. We don’t know if we will all land safely—but at least we can be clear in this: this emerging crisis is an opportunity to show the world who we really are. Adem is a New York Irish Muslim working to protect human rights. Adem completed Peace Corps service in Morocco and received a Masters degree in Near Eastern Studies at NYU. 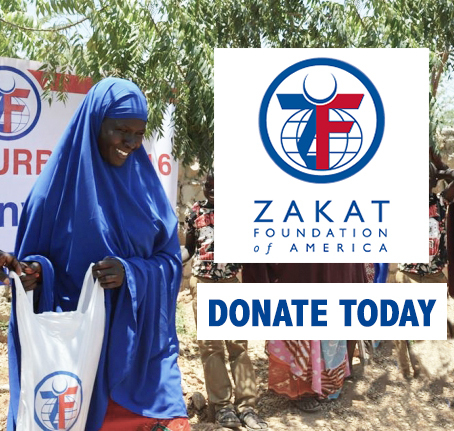 After several years of AmeriCorps program management, Adem joined Islamic Circle of North America (ICNA Relief) after the 9/11 terror attacks. There he directly provided emergency legal and financial help to over 825 Muslim detainees and their families. Working to raise awareness of the human rights crisis in Burma, Adem now works to strengthen partnerships with the international community, media and other stakeholders as New York and UN Programs Director for Justice for All and the Burma Task Force.